Visiting a new country can be truly exciting. This is especially true if you are visiting for the first time. With amazing cultures, bustling cities, scenic national parks, and tasty cuisine, it really is no surprise that more and more travelers are opting to fly into Canada. That being said, if this is your first time flying into Canada, you need to prepare. You don’t want to find yourself in unfamiliar territory without knowing what to expect. Knowledge is power. Sure, it is pretty easy and quick to make all your flight preparations online. You can shop between different airliners, compare prices, book your tickets, and set your schedule. However, if you really want the flight to go without a hitch, you need to confirm all the transportation details in advance. Remember, you are flying into a different country, so it is possible that the baggage claims and regulations might be somewhat different than what you are used to. Find out which zone of the airport you are going to be arriving in, how close you are to the checkout gate, and check the polices for shuttles or cabs. 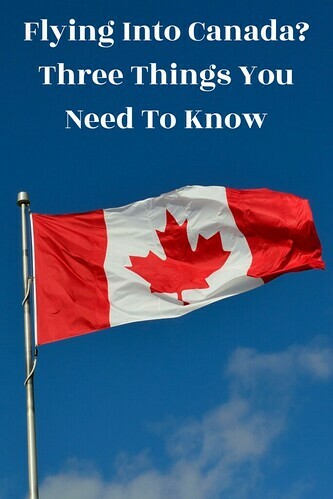 Just learning and confirming all this information ahead of time will make your flight into this new and exciting country so much easier and worry free. Whether this is your first flight into Canada or you are a seasoned pro, you probably already know that you are going to need to apply for an ETA or visa. And ETA is an electronic travel authorization that basically grants you admittance into the country. You can acquire this document by filling out a Canada ETA application. In fact, this might be something that you want to do before you even book your flights (or you can do it as soon as you book your flight). Electronic visas are usually authorized quickly and they allow visitors’ access to Canada for as long as six months. As well, the document usually stays active for a period of five years. Depending on where you are flying from, you could be in for a fairly long flight. When it comes to long flights, there is nothing that makes the process smoother and more relaxing than getting a good, comfortable seat. Always book in advance, so that you can have your pick. If you wait until the last minute and book, there is always a good chance that you are going to be stuck with the worst seats on the plane - and that will be why these are the only ones left. Sure, a bad seat won’t make that much of a difference on a short flight, but when it comes to a long flight, a bad seat could greatly impact your flight experience. Consider what is important to you. Do you want to see the sights out the window, or do you want easy access to the aisles and toilets? Pick your seat beforehand to be sure you can choose.